VANCOUVER, WA -- The American Red Cross Cascades Region recognizes a number of heroes from Oregon and Southwest Washington, Friday morning, handing out six "Heroes" awards during a special ceremony. 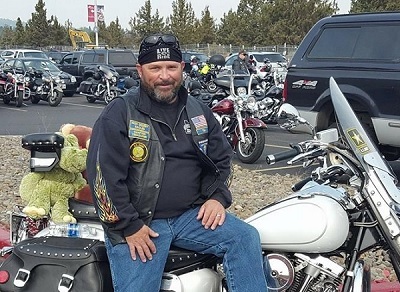 Tim Wilson, of Bend, will be recognized as this year’s Military Hero, for his work with the Oregon Veterans Motorcycle Association (OVMA). "We give to local veterans in need and then we also give to organizations that support veterans," the local vet tells KBND News, "We support the Central Oregon Veterans Ranch, here, Central Oregon Veterans Outreach, Deschutes County Search and Rescue; we support the Red Cross with their veterans programs." Wilson says the Central Oregon chapter, known as the "High Desert Eagles," is the organization’s largest in the state. They raise money through rallies, poker runs and other events. He's humbled by the recognition, "It’s a huge honor that I can’t take without pointing back to all the people that work in the OVMA. I just happen to be lucky enough to get involved with the OVMA and find an organization that’s so full of sweet, tender-hearted people who love the other vets in their community." He tells KBND News, "I am just a cog in the wheel. I just happened to be the guy that got noticed. But I am just a part of the many people in this organization that reach out and help people." Friday's 22nd Annual Heroes Breakfast in Vancouver, Washington honors ordinary people and their extraordinary and lifesaving actions. Other recipients include a high school student who decided against her own Christmas celebration, in favor of delivering toys to families impacted by the devastating Camp Fire in California, and three Deputies who performed CPR on a baby, keeping her alive until medics could respond to the call.